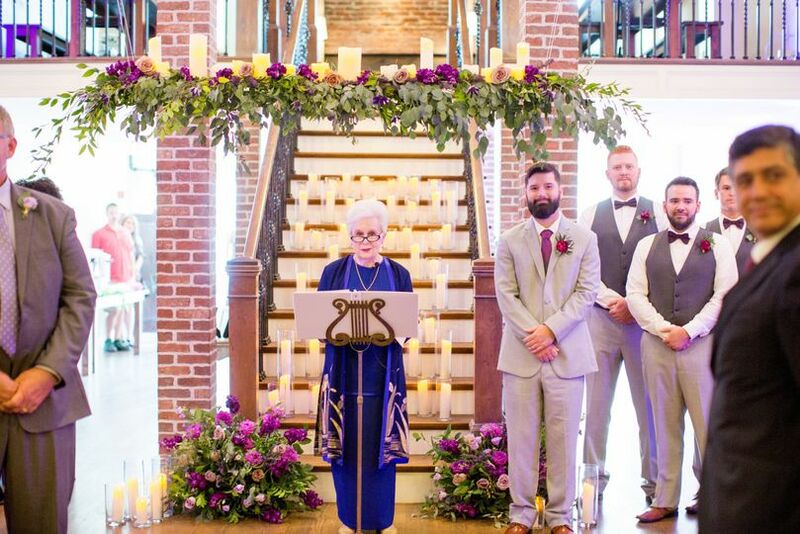 Three Twenty on Main is a historic downtown wedding ceremony and reception venue in Claremore, Oklahoma, and servicing the Tulsa region. 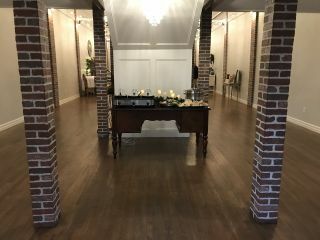 The building’s gallery and ballroom are filled with elegant style, where anything from a boots-and-jeans casual wedding to a formal, black tie gala will feel at home. 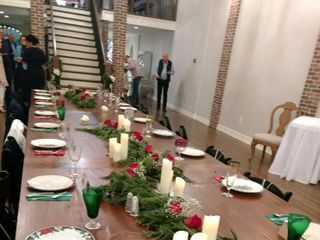 The space has existed since 1935 in various forms and as a result, it features a charming collection of industrial, rustic, and classic vintage elements that are truly unique! 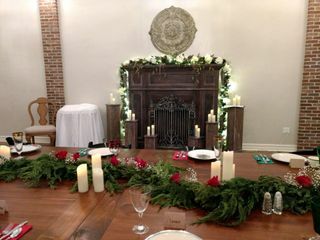 Capable of hosting up to 150 guests, Three Twenty on Main is an ideal venue for an intimate wedding. 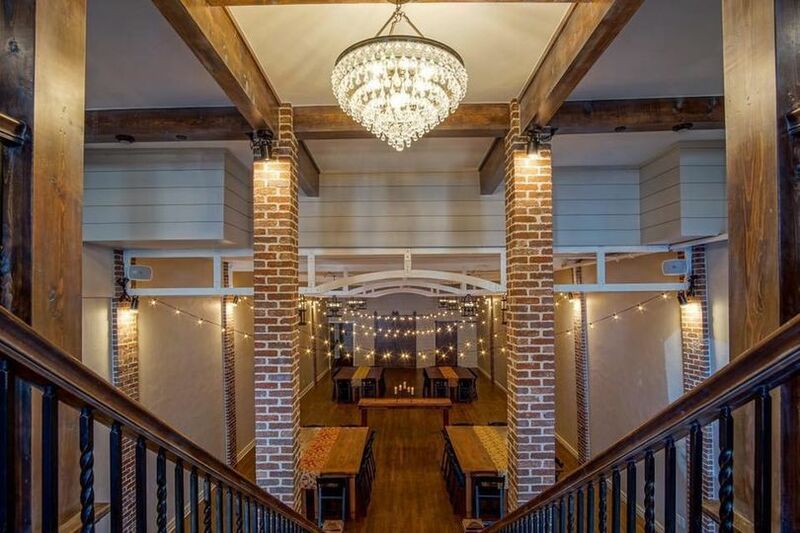 Intricate iron entrance doors will usher you into the building’s ballroom, which has two-story ceilings and an original 1935 exposed brick wall and original wood floors. 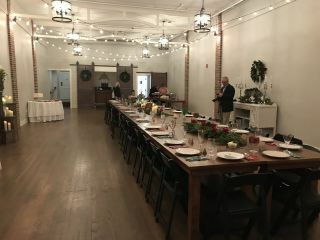 An interesting assortment of brick, shiplap, oil-rubbed bronze finishes, and even crystal decorate the ballroom’s walls, chandeliers, and accoutrements. A grand staircase offers an incredible photo backdrop as it descends into the Clairmont Ballroom from the gallery. The ballroom is open and versatile, offering a wide range of possible floorplans, and can be decorated minimally or ornately. 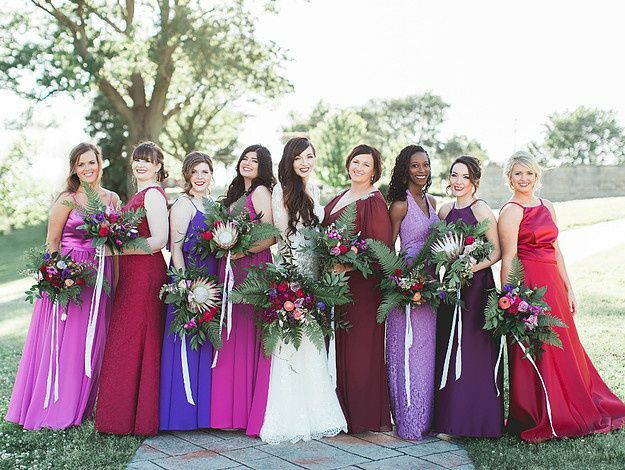 You’ll find its neutral color palette quite pleasing, no matter your aesthetic vision. The building resides in Claremore, Oklahoma; a town steeped in history that is a comfortable 30 minutes outside of Tulsa. Historic US Route 66 passes through Claremore, and it was the setting of the historic Rodgers and Hammerstein musical, Oklahoma! 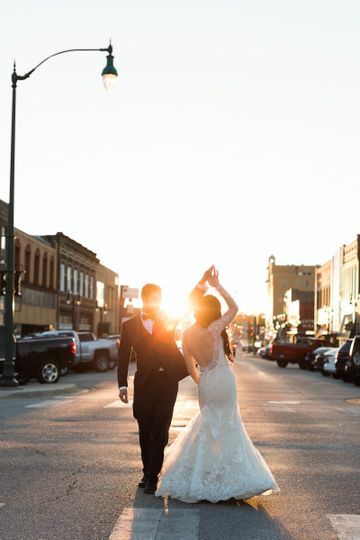 You'll feel transported through time to a historic American midwest as you host your wedding at Three Twenty on Main. Our experience was superb, professional yet friendly. Susan took care of our needs, and went beyond our expectations with good suggestions that added to the overall experience. 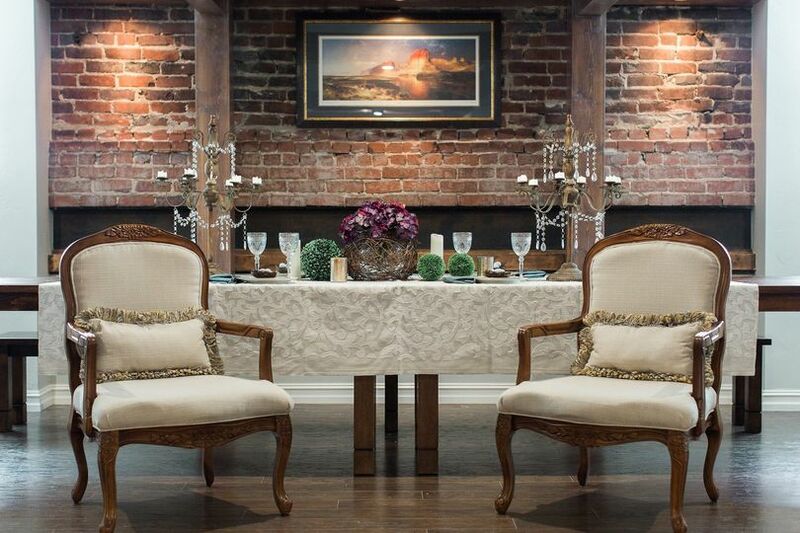 This venue is perfect, charming and chic, purpose renovated as event space and maintained beautifully. Thank you Kate! 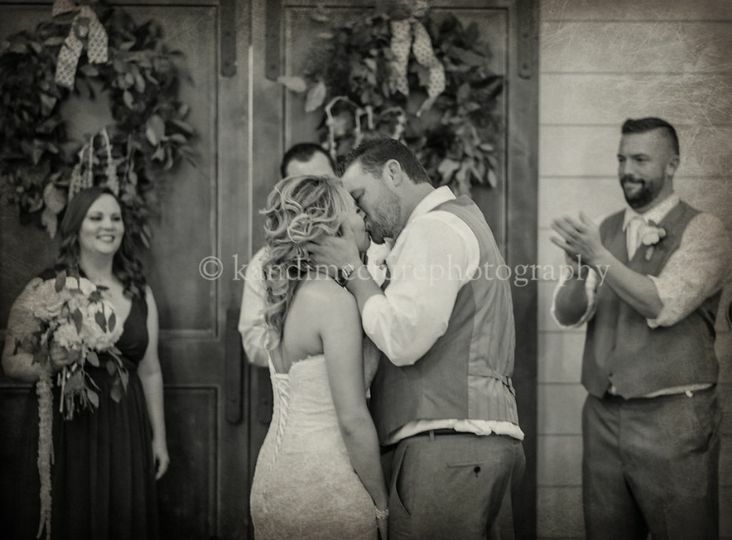 You and Devan had a great plan for a lovely family gathering and wedding. We loved working with you. 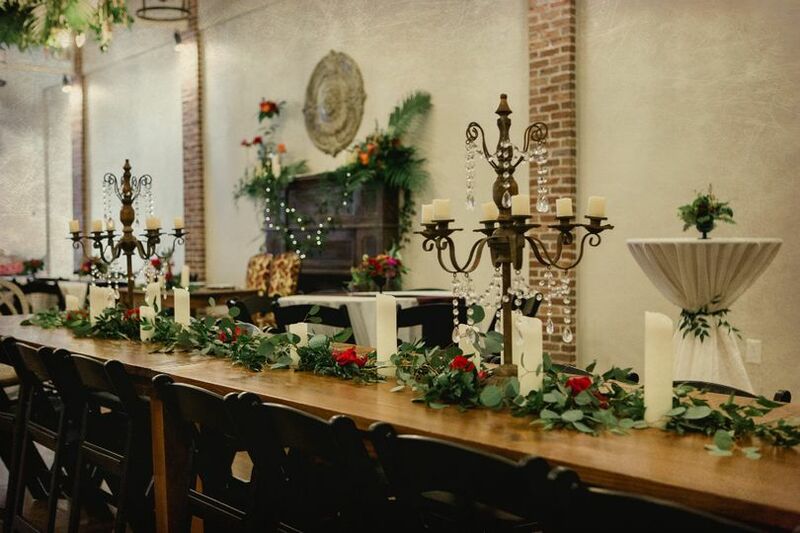 Beautiful venue & great customer service! Susan was awesome and the place is beautiful. 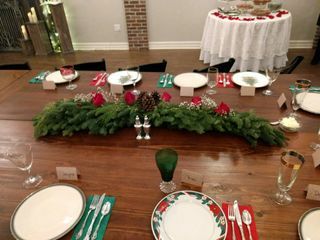 We really didn't have to do anything to prepare the décor because it looked beautiful when we arrived. We plan on using this venue again I the future! 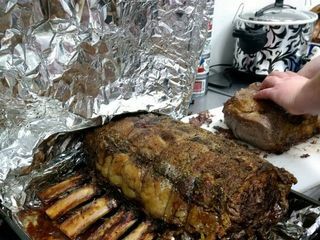 Thank you Carolyn - we enjoyed working with you on your Christmas Party and are looking forward to having you all back ! 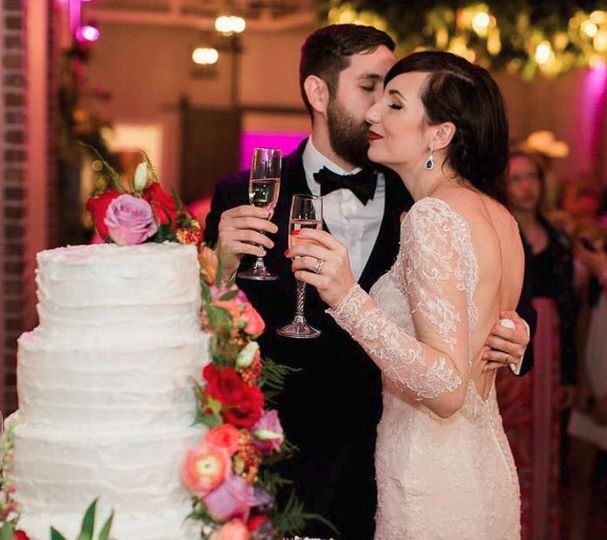 We had an amazing wedding at 320 on Main. Susan and her staff helped made our day so much more special then I could have ever imagined! Thanks so much Madison - we loved working with you and your family. 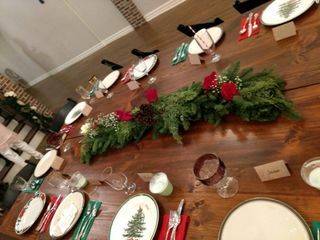 You ladies rocked the planning and decor!